The next big event for the Maricopa County Home Show organization will take place in January, from the 12th to the 14th at the famous Arizona State Fairgrounds on Mcdowell Rd in downtown Phoenix. As always, the show will feature a number of informative seminars for homeowners who want to learn about the most efficient ways to upgrade their structures, with dual pane, insulated glass or other options for upgrading or retrofitting their home. Among this year’s exhibitors in the window companies category are SR Windows & Glass, Window World of Phoenix and Weathersby Windows and Doors, just three of the many companies offering specialized services like energy efficient windows and the ability to upgrade from single to dual-pane units for maximum temperature retention. In Arizona, one of the main functions of an energy efficient window system is keeping the cool air indoors during the boiling hot summer weather. Homeowners can expect to see a return on their investment if the right windows are selected. Energy efficient windows are specially designed to maintain interior temperature, whether that means keeping the warm air in during the winter or holding the cool air inside amid the depths of a torrid summer. 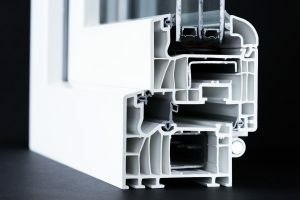 “Low-E” windows, the ones specially created for cutting down on energy bills, are able to deliver huge cost savings to homeowners and businesses. In regions where climate changes a lot, from winter to summer, the monetary savings can add up quickly, with typical window systems able to reduce energy bills by as much as 25 percent overall. Because Low-E windows have a micro-thin layer of metal, there is little to no condensation build-up. This translates into more heat retention. These types of windows also offer protection against drafts, which are a thermal movement of air that takes place when glass gets cold on the interior surface. Peak heating and cooling stress on the HVAC system is taken down a notch because Low-E windows are able to eliminate condensation, drafts and leaks. As a result, building and home owners can get by with much smaller heating/cooling units than they would under other circumstances. Because Low-E, energy-efficient windows don’t need to be tinted to perform at optimum levels, there’s more light inside and an overall better view for everyone. Energy efficient windows are specially coated to reduce UV rays by as much as 75 percent, which means that harmful sun rays will not be able to wreak havoc with delicate artworks, furniture, wood, fabric, and carpeting. In fact, it’s not just about having a better-looking, more comfortable home or office. Another advantage of low-E windows is the environmental impact, meaning that good planning and efficient window systems go a long way toward reducing climate change effects by cutting down on greenhouse gases. What Kinds of Windows are Considered “Low-E”? There is no question that any kind of low-E window can go a long way toward cutting energy costs and adding beauty and comfort to a space. Passive low-E coatings help bring in as much heat as possible to keep interior areas warm, while solar low-E coatings do the opposite: they help keep solar energy outside, thus making the interior spaces as cool as possible. For each type of coating, there are two ways to manufacture it: either by the older, pyrolytic process or the newer technology known as magnetron sputter vacuum deposition. 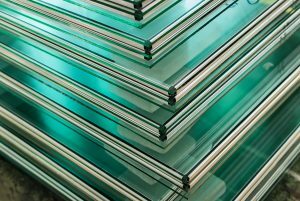 Depending on the needs of the homeowner, one or the other type of window can be installed.